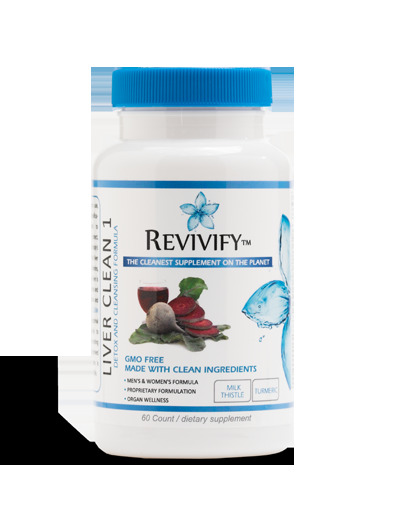 LIVER CLEAN.... Liver Cleanse Step 1 is an easy-to use, two-part cleansing and detoxification program formulated to simultaneously support, protect, stimulate and assist with the body’s natural detoxification of the liver with natural minerals, vitamins, herbs and amino acids. The liver is the largest organ in the body and responsible for detoxification and internal cleansing. LIVER CLEAN will build a foundation for optimal health allowing your body to process external toxins, promoting holistic wellness and improved health. Cleaning vital organs is essential to living a Revivified life. Milk Thistle: has been used for 2,000 years as an herbal remedy for a variety of ailments, particularly liver, kidney, and gall bladder problems. Several scientific studies suggest that substances silymarin in milk thistle protect the liver from toxins, including certain drugs. 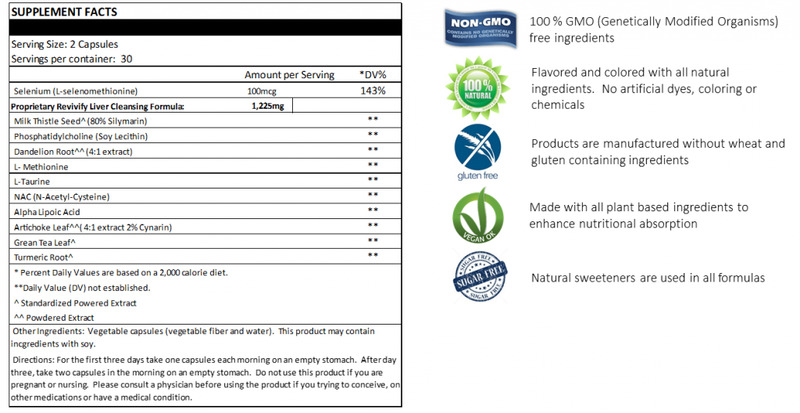 Silymarin has antioxidant and anti-inflammatory properties. And it may help the liver repair itself by growing new cells. Phosphatidylcholine: Researched extensively by scientists, Phosphatidylcholine has been shown to play a vital role in many important areas including maintaining cell structure, fat metabolism, memory, nerve signalling, as a precursor to important neurotransmitters, and liver health. Dandelion Root: The root is a favorite amongst traditional herbalists as it supports the healthy functioning of the liver, kidneys, spleen, and gallbladder and is considered to be a reliable detoxifying agent.